Now here is a craft from many moons ago! 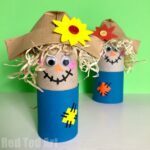 I love Toilet Paper Roll Crafts – for both kids and grown ups – as TP Rolls (or Kitchen Towel rolls if you prefer) are cheap (well free!) and super duper versatile. 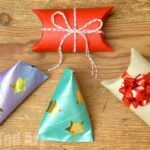 They also make a great sturdy little gift boxes… and you can shaped them lots of different ways (in fact check out our other TP Roll Gift Box ideas here!). 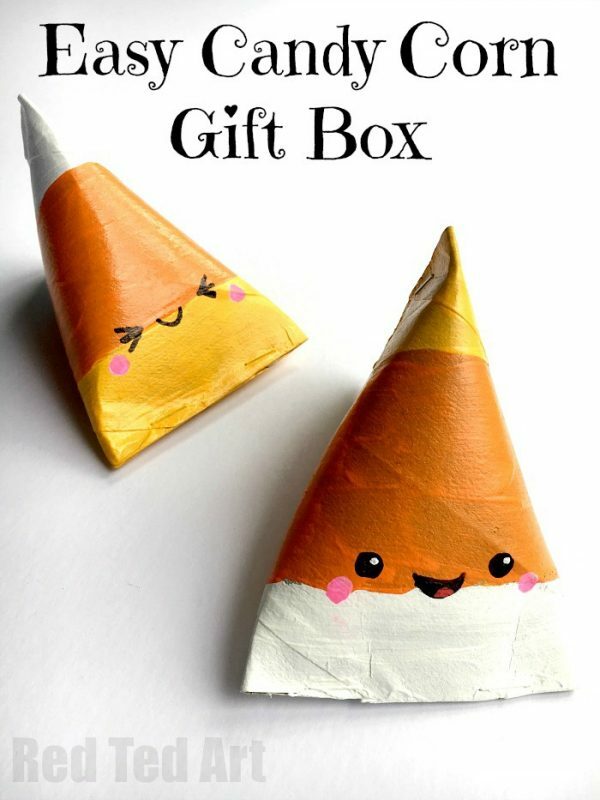 Today’s TP Roll Gift Box DIY is a CANDY CORN Gift Box. I added some super duper cute Kawaii faces, which I think instantly transforms them into darling DIY Treat Boxes for Halloween or maybe even Thanksgiving! 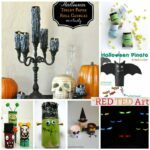 If you need them for a Halloween Party (or as Thanksgiving Treat Boxes? 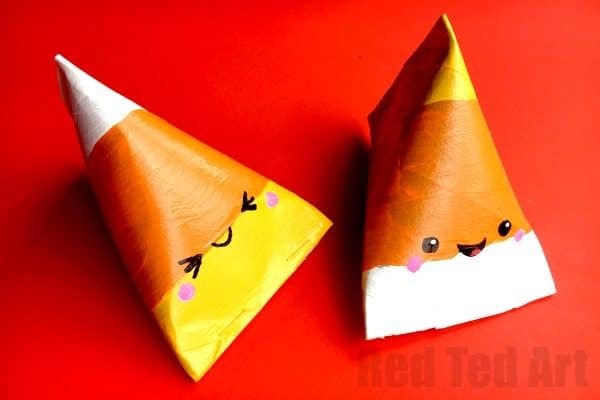 ), why not set up a production line to make these Candy Corn Treat Boxes quickly and easily?! 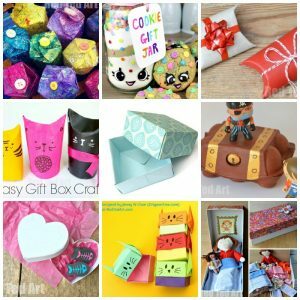 Note: these adorable Candy Corn Treat Boxes were first published in Sept 2015 and have been updated and republished for your convenience! 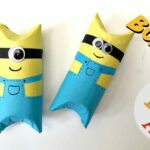 You will see in this easy Candy Corn Gift Box video how fun these boxes are to make.. but I have also added written instructions for you below! 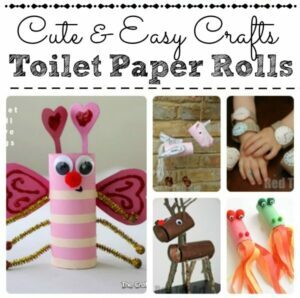 Begin by painting your TP Rolls. I painted them yellow, orange and white. Making the orange twice as big as the yellow and white sections. Let dry fully! 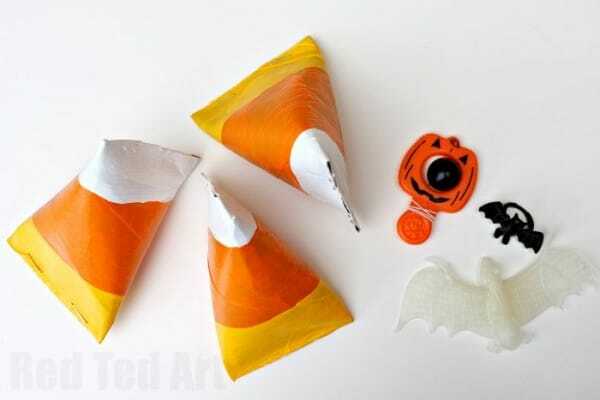 Once dry, flatten down one end of your candy corn box and staple. 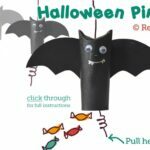 Now you can fill your treat box with Halloween goodies, or surprises for Thanksgiving. Then take your TP Roll. Old it at the stapled down end. Twist the by 9 desgrees and flatten the box again and secure in place with staples. 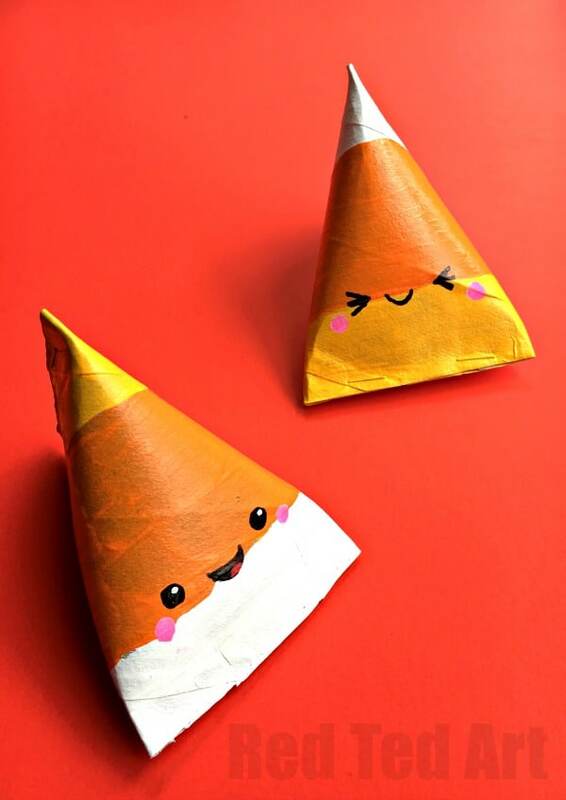 Your ADORABLE Candy Corn Gift Boxes are FINISHED!! Enjoy!! 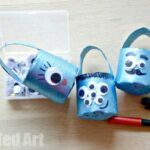 Enjoy your recycled Candy Corn Treat boxes! And see you here again soon! 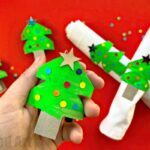 Lovely DIY! Those corn gifts are gorgeous! Thank you! 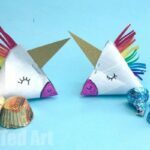 So easy to make too!